Flowers grow all over the world, so I’m not surprised when people ask me where the flowers sold in florist shops or supermarkets come from and how they get from those faraway places to markets across the United States and Canada. Those are great questions, and the frequency of the queries indicates the high level of interest people have about flowers. 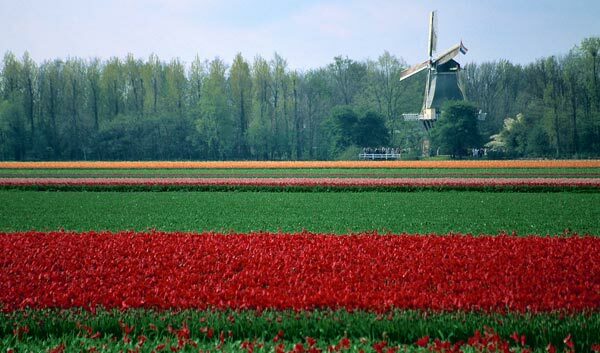 Holland is a primary grower of flowers. About 90 percent of all flowers sold in the U.S. and Canada come from just three places: Colombia (70 percent), Ecuador (10 percent) and California (10 percent.) The sources of the remaining 10 percent include countries such as Canada, Holland, Mexico, South Africa, Kenya, Ethiopia and Thailand. 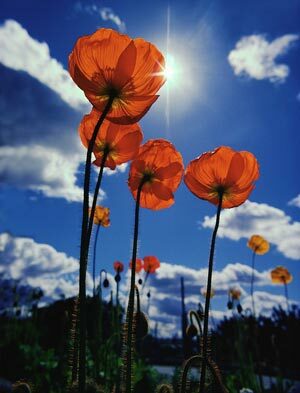 Flowers grow mostly in warm countries. With some exceptions, most flowers are cut, bunched, wrapped and then packed in large corrugated boxes for shipping. Those flower boxes coming from other countries (with the exception of Canada and Mexico) are placed on pallets and flown to the United States. Miami is by far the largest destination for those flower boxes, but Los Angeles Airport and New York’s JFK Airport receive flowers, as well. When boxes arrive in the U.S. from where the flowers grow around the world, they are inspected by the Department of Agriculture to make sure they are bug-free and also checked by U.S. Customs. Flower boxes are then delivered to flower importers who load the boxes on refrigerated trucks that deliver the flowers to local markets across the U.S. and Canada. In the case of Californian-, Canadian- and Mexican-grown product, boxes of cut flowers are loaded onto refrigerated trucks to be shipped to local North American markets. Because flowers are a very perishable cargo, those in charge of shipping and distributing them keep the stems at low temperatures (ideally around 35 degrees Fahrenheit) through every step of the distribution logistics process. This procedure is called the “cool chain.” It is the same type of procedures used for shipping other perishables, such as fruits, vegetables, poultry, meat, fish and pharmaceuticals. Flowers require great care during shipping. All of these efforts are designed to increase the enjoyment of fresh flowers whenever and wherever they are purchased. Nicely done, Terry! So many consumers are completely in the dark about the long journey required for flowers to reach them. Understanding the path they take will undoubtedly help them appreciate the cost and value of purchasing and having fresh flowers in their homes. They truly are beneficial to us in so many ways! Terry, why do your market share stats differ so greatly from SAF’s AboutFlowers.com information? What is your source? I’m not surprised that my numbers differ from SAF’s numbers. So do numbers from Colombia. A recent press release from Augusto Solano, your counterpart with ASOCOLFLORES, stated that 80% of the total US flower imports for 2011 were from Colombia, whereas SAF has that at 64%–a significant discrepancy. Statistics in US floriculture have been somewhat suspect for years. I get my numbers from a variety of sources and from my own analysis of the numbers based on over 30 years in floral. That said, I would be happy to look at your numbers for the sake of greater accuracy. For those who don’t work in the floral industry, some of the acronyms mentioned by Kasey and Terry aren’t likely to be familiar. But if are a flower lover who wants a deep-dive look at the industry, you may find them of interest! First off, I’ll introduce Kasey: He is the esteemed CEO of the California Cut Flower Commission. 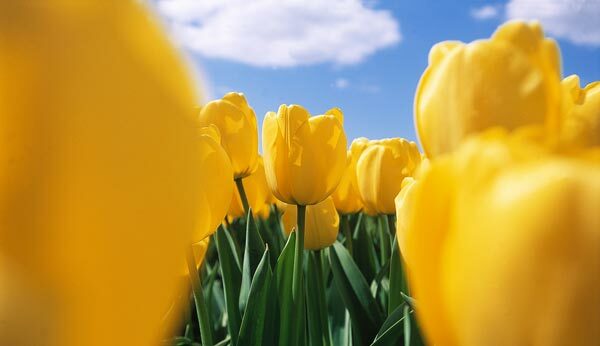 CCFC represents flower growers throughout that state. You, of course, already know Terry if you’ve been reading FloristChronicles for awhile. Terry’s a consultant in the floral industry with a deep and committed passion for those devoted to the floral profession. ASOCOLFLORES is The Association of Colombian Flower Exporters. That group represents flower growers in the South American country of Colombia. Have your own questions about the behind-the-scenes workings of the floral industry? Post a comment and let us know! We may be able to use your question for the topic of an upcoming article! Thanks for the intro, I apologize for not disclaiming my position in the industry. Honest oversight on my part. I like this blog design, btw. Nicely done. Thanks Terry. Good insight and agree with you on the discrepancies. However, why would the SAF figures, which I presume are USDA based, and the Ascoflores figures differ so greatly if we are all looking at the USDA import data for benchmarking? Is this because the Colombian government’s export data and the USDA import data sets differ? I like your numbers, they tell a story. I just wish we all could see the same thing. Its sad that we can’t figure out a way to integrate all of the data into a form that would be useful for us. I see lot’s of statistics in writing but where they get it, who knows? For instance, this is from the current issue of Supermarket News: “Currently, the U.S. sources 78% of cut flowers sold at retail from Colombia and Ecuador.” This is close to what I wrote, but they didn’t get it from me. From whom? Hi all, I am a single Mom who got a temp job to do a Market Analysis for cut flowers. I am responsible for gathering information about all manufacturing lines, including the Names of the companies, Locations, Key Contacts, Number of Conveyor lines, types of flowers being grown and imported and the number of bouquets each manufacturer sells per year. I have 2 weeks to complete the Analysis and I was told you were a reliable source and you were the expert in your field. Could you please help me in any way? I would greatly appreciate it !! I was just trying to make some Christmas money for my kids buy now I’m finding this nearly impossible! !